Love Las Vegas style Casino Roulette and RPG games for real money? Come and Play European Roulette with a twist and see your winnings roll in. 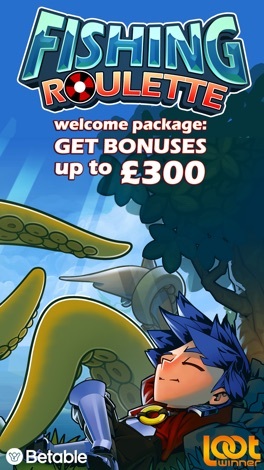 The world's first RPG Roulette game for real-money gambling in UK! 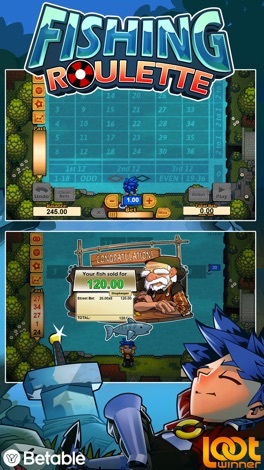 Fishing Roulette is a fresh new take on the classic casino style gameplay you know and love. 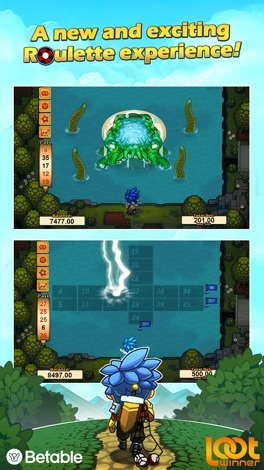 With identical odds of European Roulette, player can place bets using fishing nets and magic powers that a character possesses. 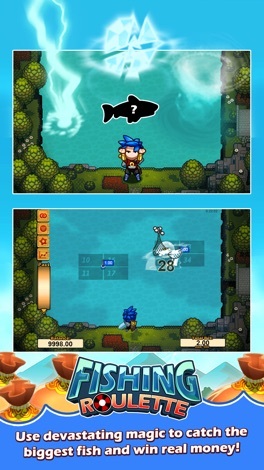 If nets and magic spells are placed in the correct areas, the player catches fish and can win real money. We offer a generous bonus to all New Players and offer other popular Casino Games like Match & Money and Bingo Lounge, all with Innovative and Original Gameplay. Quick, Easy, & Secure: we use Betable Wallet which makes the whole process a Breeze! At LootWinner we deliver a mix of new, unique, real-money gambling games, and old-favourite casino games with that Las Vegas flair! We want to create games that are entertaining and interesting by having creative and original content. Games that are not just simple copies of casino games you can find everywhere else. We will listen, we care, and we want to make products for you! We believe in above average odds, skill factor, and big juicy payouts! We want you to win, but more importantly, we want you to enjoy playing games that you like! Please note: Some portions of this game have real money gambling functionality powered by Betable. You must be over 18 and have a valid Betable account in order to use the real-money functionality of this application. Betable is licensed by the United Kingdom Gambling Commission to offer remote gambling services. *Terms & Conditions apply to bonuses. See http://betable.com/legal/bonus-promo/ for further details.